You are here: Home / extrovert / Designated Extrovert? Yesterday morning Mike asked me if I wanted to go to an RV/Boat show that was in our area, and I thought it sounded pretty good until I looked at my calendar. 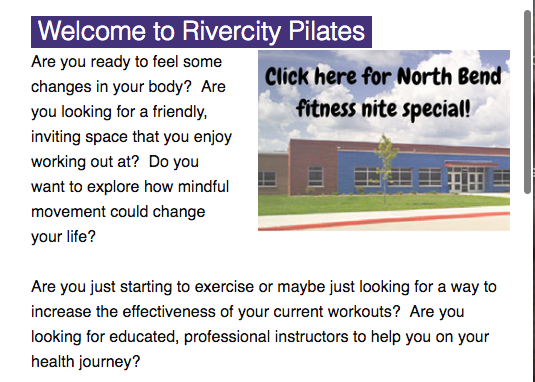 Rivercity Pilates had an event at an elementary school here in North Liberty, and Carey had asked if I could go over and try to get some parents to leave their emails since she was out of town. Mike asked why I was going because I’m not a Pilates instructor — and I said that I was going to be the talker! He immediately asked me what my duties were as “designated extrovert”. Here’s how it worked. The event was called “fitness night” and it was organized by the physical education teacher to allow kids to try things and see if they liked them. There were different activities spread around the elementary school for the kids to try between 5:30 – 7:30. There was tennis, there was a local fitness center, there was supposed to be yoga, and Pilates. (Truthfully — I was only concerned with the room we were in — so I didn’t notice all the other choices.) The students received a sheet with check boxes, and they went with their parents from room to room where they could do a 10-12 minute “sample” of that particular program, and the students had a goal to try a specific number of new things. Carey had participated in the event the year before, and she knew that participation gave the studio positive exposure in the community. Students came in every 15 minutes, and our Pilates instructors would do a brief demo of some Pilates exercises. A few of the parents participated, but most stood and watched, while 10-15 kids participated on the mats with the instructors. Carey had decided to give away a 7 day class pass to the studio and/or a free private orientation session — so we had made tickets to hand out, and I had set up a link on my iPad to Carey’s Constant Contact list. Of note here — is that I forgot my Mi-Fi! The little box that gives me wifi wherever I go. It was on the charger — and I forgot to grab it. I can use my phone for the same functionality but it’s much slower. Lucky for me, the school had their public wifi going! 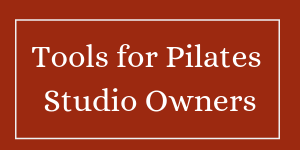 As the students were participating in their Pilates demo, I went around to the adults (yes, I walked up to them) and said that I was giving out adult Pilates at our studio. I learned VERY quickly that very few of the parents knew where our studio was, even though many of them were members at a big box gym 1/4 mile away. Most of the parents I approached (moms and dads — not just moms) were very receptive and took my iPad in order to get their free adult Pilates ticket. While they were typing their name/email in the iPad — I asked 1 question. Do you know where our studio is? Many of the parents thought we were located in Iowa City– a larger city nearby, not here in the same city as the elementary school. Many of the parents who were excited about the one week of free classes, were concerned about whether the free week of classes started immediately. I reassured them that they could take their week when it was convenient for them in the next couple of months, and then I pointed out the complimentary private session. This is currently offered to all new students at Rivercity Pilates, but I didn’t tell them that. I just pointed it out on the ticket, encouraged them to take Carey up on the free private session, and I said it was a $75 value, it was part information/tour and part learn about Pilates and try the equipment. A few people asked me when classes were, and they seemed very impressed to know that Rivercity Pilates does daytime, evening AND weekend classes. Many parents asked about childcare — and I had to say that Rivercity Pilates doesn’t offer childcare. Instead of just saying no childcare, I said that we had classes during the daytime, in the evenings, and on weekends when parents might have other opportunities for childcare. 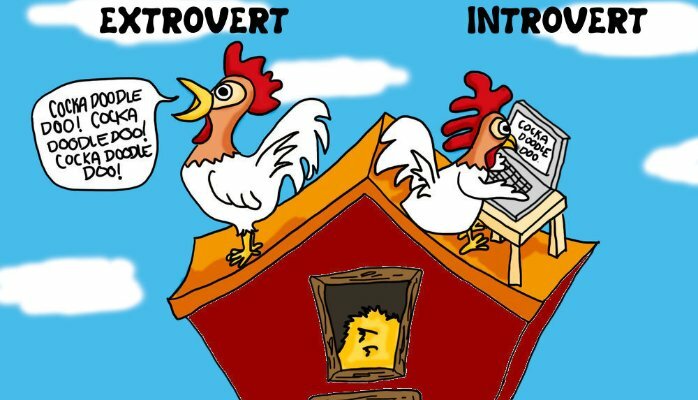 Why was it important to have a “designated extrovert”? While community involvement is a great reason to participate in this event, the ultimate goal is to bring more people into the studio. Carey had sent 3 Pilates instructors, and they were very busy leading and demoing the kids in exercises. One of those instructors brought a friend who was going to help gather adult names and emails. She had a clipboard with a sign up sheet for backup — but essentially she was kept busy signing the students participation sheets and she was also watching for adults who hadn’t signed in on my iPad yet. All told, I think 5 people that I approached actually said no, that they weren’t interested — but I did get 40 people to enter their information! How did I do it? By asking. I approached them, asked them if they’d like free adult Pilates, I told them I could give them a ticket if they gave me their name and email, and I made sure that they knew where the studio was! Carey needed someone who could approach the parents, be assertive without being threatening, represent the studio professionally, and get people excited about the opportunity we were giving away. It’s a tall order, and I did my best! Essentially — Carey sent 5 people to that community event. 3 instructors, 1 recorder and 1 talker. Any less people, and I can guarantee the night wouldn’t have been quite as successful. We put a picture of the elementary school with a link to the 7 days free package on the website — so it’s there if anyone checked when they got home or as they had coffee the day after. All in all — you might want to consider making sure you have a “designated extrovert” when your studio does outreach events! Previous Post: « Make Planning Easier!